The real man’s work bench. 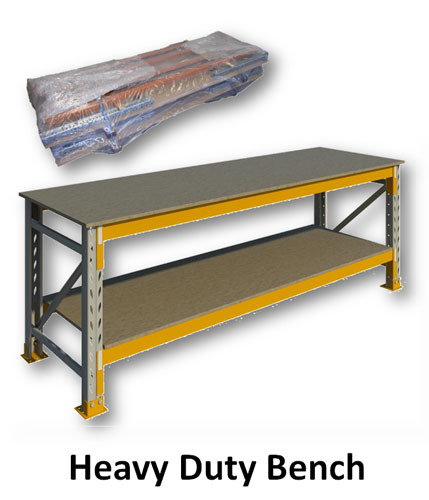 Robust all steel frame constructed using pallet racking components, together with solid 19mm Flooring Grade board top and 18mm shelf under, makes this a tough bench. 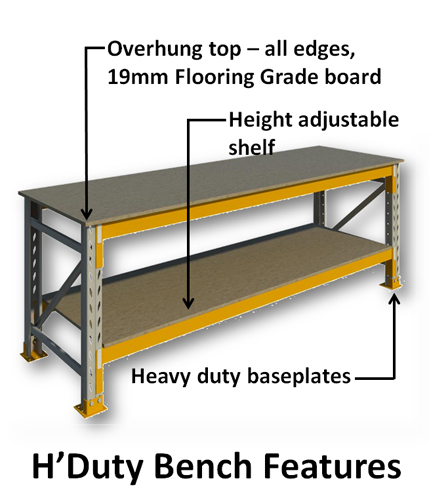 Top and shelf are supported by robust beams capable of very heavy workshop loads. 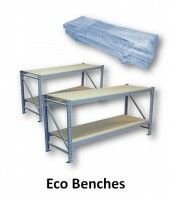 Benches are flat packed for freight efficiency and are easily assembled – instructions included (tools required).